These are some of the juices made by Legacy Juice Works in Saratoga Springs. Its Organic Tart Cherry juice is a finalist for the Best Juice category in an international competition. 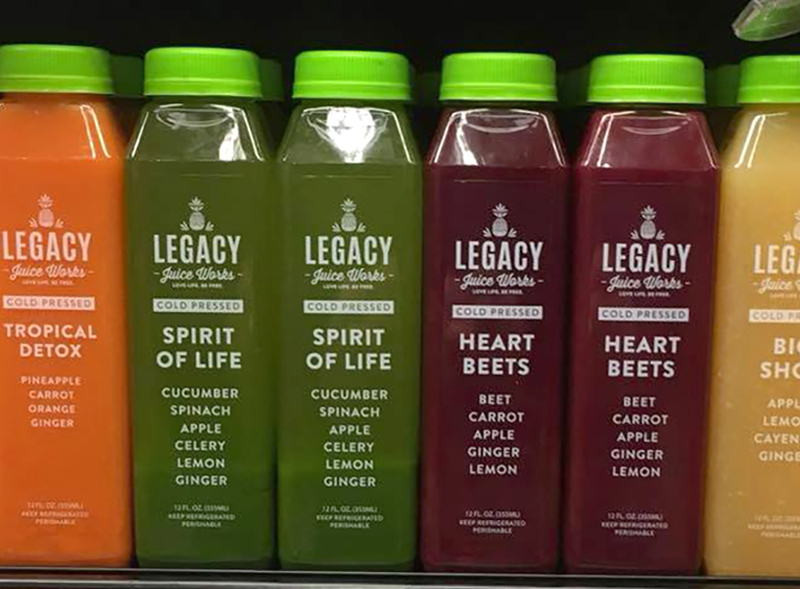 A product made by Legacy Juice Works, a Saratoga Springs-based wellness brand specializing in cold pressed juice and functional beverages, has been named a finalist in the 2018 World Beverage Innovation Awards for Best Juice. The awards are sponsored by UK-based FoodBev Media and BrauBeviale in Germany. Since 2000, FoodBev Media has specialized in reporting and analyzing change, trends and innovation in the international food and beverage industry. It is a multi-media business, delivering content through magazines, a website and across the world’s most relevant social media channels. “We are so excited that the judges selected our Organic Tart Cherry juice as a finalist for the Best Juice category in this important global competition,” said co-founder, Christel MacLean. “Our recipes are innovative and nutrition focused. We actually developed the product for Wegmans and it stands out as a true disruptor in the tart cherry, functional beverage category, along with our 2-ounce wellness shots,” added co-founder Colin MacLean. The winner of the award will be announced at a special awards ceremony on Nov. 14 at BrauBeviale in Germany as part of an international three-day trade show. Legacy Juice Works is currently in over 800 locations from New York City to Los Angeles. The company began in 2013 as Saratoga Juice Bar in downtown Saratoga Springs. It began its wholesale operation in 2015 with accounts now including, Wegmans, Hannaford, CVS, Gelson’s and Price Chopper.